So, once the fundamentals are covered – healthy mixed diet, regular exercise, regular health checks, relaxation and sleep – think about your supplemental health.Here are seven supplements – and their role in men’s health. You definitely don’t need a multivitamin and or multimineral if you are eating a widely mixed diet that contains all the right proportions of nutrients. The trouble is, most of us don’t – at least not all of the time, anyway. That’s where wide-ranging and potent products like Essentials (or HealthPak™ if you want the added benefits of an extra antioxidant boost plus calcium) come in. Many studies have shown the benefits of long chain omega-3 fats, the kind that you find in oily fish, for brain and heart health. Omega-3s have a natural anti-inflammatory action whilst helping to reduce the stickiness of blood so that it can flow more freely. If you are taking blood thinners like warfarin, be sure to speak with your doctor before taking any kind of supplement, though. So how much is enough? The Australian Heart Foundation suggests that for generally healthy men, around 1,000mg a day is about right. If you have heart problems, you may need 2,000 to 4,000mg but check with your doctor first. Take BiOmega with meals to boost absorption and avoid any fishy aftertaste. New Zealand – are short of it despite the fact that the major source of vitamin D isn’t diet at all – it occurs when UV light in sunshine reacts with a cholesterol-like substance in the skin. Low levels have been linked with a number of health problems including low immunity and depression. These are the bacteria that naturally live in your gut. Here, they process foods and play an important part in protecting your immune system. Try taking one stick pack of USANA Probiotic every other day to feed your internal bacteria and help your immune system. This has a preventative effect – the good bacteria can simply crowd out the bad ones and keep infection at bay. Probiotics also have a role in keeping you to stay regular helping you to feel good from the inside out! This men’s health formula contains ingredients to protect men’s physiology. For example, it contains saw palmetto and two powerful antioxidants, lycopene and soy isoflavones. effectiveness4. Plus, both of these plant pigments seem to help retain prostate health. Coenzyme Q10 – or CoQ10 for short – is made by body cells. It keeps the tiny engines that fire cell functions burning and in this way, providing the energy that cells need to keep working to their best. Less CoQ10 is produced with age so if you want to revive those energy levels, it may be a good option. If you’re feeling the odd ache and pain in your joints, consider Procosamine. Adequate levels of glucosamine may help to rebuild lost cartilage. But unlike regular glucosamine products, Procosamine contains Meriva® curcumin a potent anti-inflammatory which is nearly 29 times more bioavailable as regular turmeric to supercharge this Indian spice’s already super effective action. 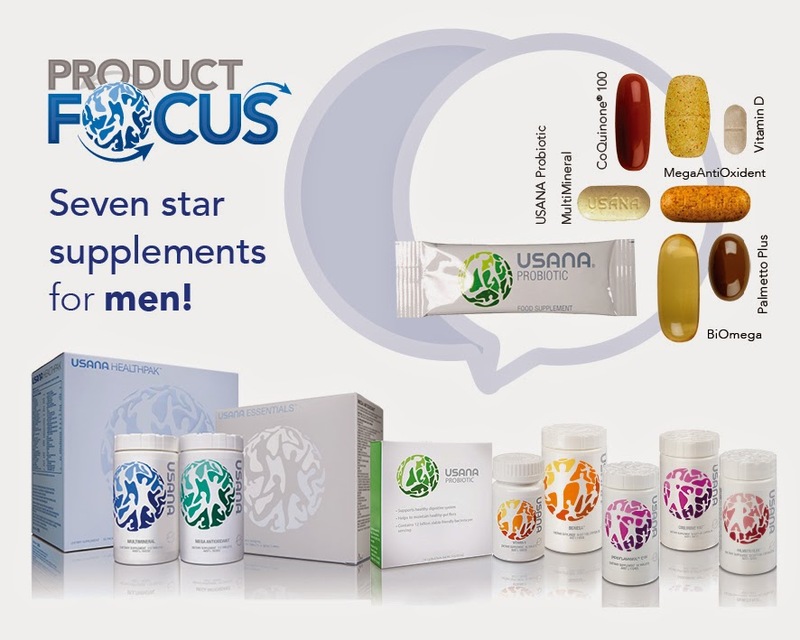 Our latest issue of Product Focus provides in-depth information about which supplements are great for men's health. Hop onto the Hub to find out more and download your free copy of the newsletter! 000000000-00000. Accessed 15 September 2014. Available from: http://www.ncbi.nlm. symptoms. J Urol. 2000 May;163(5):1408-12. Accessed 15 September 2014.